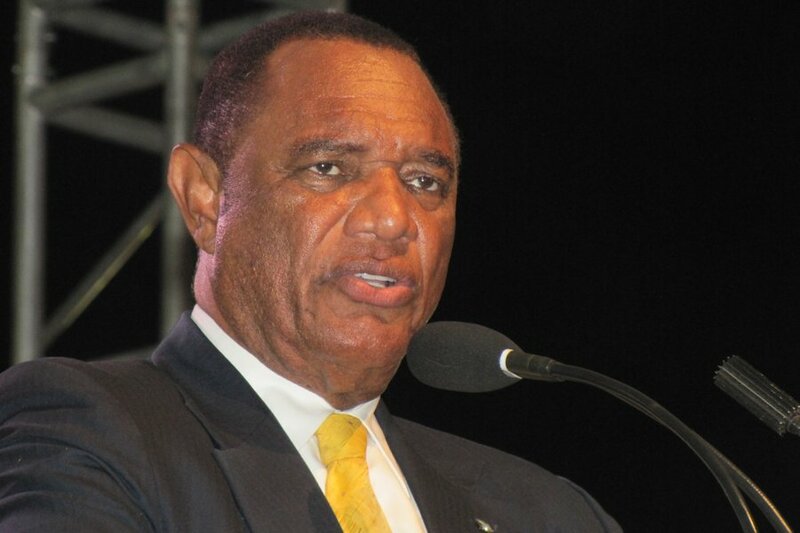 Home Local Prime Minister Christie at Grand Bahama Business Outlook today…. Prime Minister Christie at Grand Bahama Business Outlook today…. I am delighted to have been invited to Grand Bahama to participate with Joan Albury and her team at Counsellors, together with a cross-section of the business community in another Grand Bahama Business Outlook. Despite the economic challenges of Grand Bahama, including those caused by natural disasters, protracted adverse international and local economic conditions , and lack of adequate promotional and planning initiatives, Grand Bahama continues to demonstrate its resilience, its staying power and its optimism about the future. And for good reason too! More than any other island in our archipelagic nation, Grand Bahama has almost limitless economic development potential because of its unique combination of e infrastructure, human resources and strategic geographical proximity to the North American mainland. My Government is unswerving in its belief that the future of Grand Bahama is bright and that its best days still lie before it, not behind it. Progress may not always be attained or sustained at the pace or in the manner we want it to be but rest assured that step by step the economic revitalization of Grand Bahama is steadily gaining momentum.. The theme of this year’s Business Outlook, Securing The Bahamas Through Planning, Partnership and Productivity, has been at the forefront of the work of my administration as we promote the development of a more dynamic national economy, Bahamian entrepreneurship and ownership, domestic and foreign investment, a better quality of life for Bahamians and an environment that attracts the wealthy of the world and unprecedented numbers of tourists. growth, unprecedented levels of employment, high public debt, fiscal deterioration and a plethora of social ills, especially escalating crime.. Nonetheless, we have set clear strategic goals and continue to undergo structural adjustments for the country’s economic growth. We have been diligent in our efforts to ensure the success of the Government’s initiatives, including our initiatives here in Grand Bahama. In addition to our various initiatives we have launched activities which will lead to the development of the first National Development Plan for the country. The development of this _Plan will not be Nassau-centric. Instead it t will involve conversations with Bahamians throughout the length and breadth of The Bahamas. A few weeks ago conversations with Grand Bahamians began and these will continue over the next few months. We are committed to structure planning that will inevitably result not only in economic growth but in more meaningful and productive human capital development so that Bahamians can become the primary benefactors of this growth both now and in the years to come. This more structured planning process for government policy will yield a more efficient and effective public sector machinery to meet the needs of both our citizenry and investors. It is anticipated that at the end of the process, later this year, we will have arrived at a shared vision for The Bahamas – one that will ensure that we are a more productive, innovative and entrepreneurial citizenry while revealing a viable, sustainable direction for the country. Grand Bahama has borne the brunt of successive adversities – both climatic and financial but today its economy is rising from these calamities. This is in no small part attributable to the resilience of Grand Bahamians, continued attractiveness to long term international investors and the focused efforts of both the Government and private sector to arrest the economic free-fall and to put Grand Bahama on solid footing towards sustainable growth. We are succeeding in the face of formidable challenges. This is not fiction. This is fact. In the past year alone some 1000 construction jobs and 600 new permanent jobs were created in the Tourism sector on Grand Bahama which has seen hotel occupancies increase by 56% and hotel revenues by 33%. Another 300 – 400 tourism-related jobs are projected to come on stream this year and inventory demand is expected to exceed capacity on the Lucayan strip. In fact, this level of demand has not been seen since 2004. Grand Bahama is a unique destination in The Bahamas where the cruise-and-stay market yields significant benefits for hotel operators. For those of you who are not aware, last year 42% of the business coming to the Grand Lucayan resort came from cruise-and-stay business. The newest ship to call on Grand Bahama, the Grand Celebration, which held its maiden voyage on February 4 – last month – has already exceeded the Bahamas Celebration’s 2014 passenger count, already delivering more than nineteen thousand (19,000) visitors to Grand Bahama as compared to some sixteen thousand passengers (16,000) delivered by the Bahamas Celebration in the whole last year. As a result of this level of business, the Grand Lucayan Resort alone has already exceeded last year’s performance and the cruise & stay market is projected to have an overall economic impact on the local economy of Grand Bahama of thirty one million dollars ($31million). That’s good news, ladies and gentlemen! It should give all of us renewed faith and confidence in the tourism industry of Grand Bahama. Speaking of cruise ship tourism to Grand Bahama, I would like to congratulate Ms. Michaela Lewis of Tabernacle Baptist Academy in Freeport who won the naming contest for the Balaeria’s new 1,000 passenger Fast Ferry, the ‘Bahama Mama,’ which had its maiden voyage to Grand Bahama on the 26th of February, just last week.. Operated by Balearia Bahamas Express, the ship is expected to bring some 300,000 passengers annually to Grand Bahama and now provides almost daily service from Ft. Lauderdale. Both the Grand Celebration and the Bahama Mama together are expected to generate more than $42 million dollars in the Grand Bahamian economy and $2.3 million in Government revenues in 2015. But we will not stop there! My Government continues to advance discussions with major cruise lines for the development of new cruise destinations with themed Bahamian attractions right here on Grand Bahama. We anticipate being able to make further announcements about this in early course.. I wish to point out at this juncture that the Government’s actions in securing the right operating partner in Sunwing on the Lucayan strip has provided much needed impetus and paved the way for further growth through increased airlift to Grand Bahama.. The Government has also recently negotiated daily air service with Delta Airlines to Freeport, representing a 400% increase in seat capacity from the increased frequency of flights provided by that carrier. American Airlines meanwhile has deployed its larger 76-seater on the Miami-Freeport routes while both Bahamasair and Silver Airways now also have higher frequency weekly flights to Grand Bahama from Ft. Lauderdale. The Government continues to expand the partnership with Sunwing on shared risk initiatives from eight cities across Canada which resulted in a 30% increase in arrivals to this destination last year and its operation of flights from eight new U.S. cities in 2015 is projected to position the destination for substantial growth in air carrier capacity to meet growing demand for the destination. With public private partnerships to stimulate the markets in major cities across the USA and Canada, most carriers serving Grand Bahama are currently sustaining healthy load factors, and with cruise business on the increase as well, overall tourism business growth is projected to increase by 40% above last year’s arrivals of just over one million (1,076,416) air and sea passengers. I am reliably informed that on the Tourism front this February will be the best February in tourism since 2007, and this trend is projected through the end of April 2015. With completion of the $10 million Okyanos Heart Institute, the Island’s first stem cell research facility, I am also pleased to see the beginnings of diversification of the tourism industry in Grand Bahama and am reliably informed that other such medical facilities have entered discussions for similar investments on the Island. Medical tourism is a high-end niche market with enormous potential for Grand Bahama. As you know, my administration has made a significant investment in the Bahamas Junkanoo Carnival. This initiative aims to elevate the profile of The Bahamas in the global marketplace, create sustainable linkages with the tourism industry, to improve income distribution within the country and to enhance the visitor experience. Indeed as I speak, Grand Bahamians are gearing up for the Music Masters Song Competition with 25 semi-finalists performing on stage in the Festival Village on April 17, and the all-day Beach Party with music, food and cultural entertainment and Midnight Junkanoo Rush on the 18th. 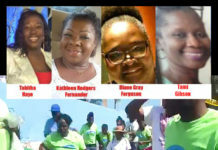 The Festival Committee has reported that to date just over $46,000 has been spent in Grand Bahama on four “incubator” businesses. This has already generated an economic impact of over $200,000 in the purchase and processing of raw materials, instruments, costumes and the like before any events have even occurred. The Carnival is being aggressively advertised and promoted abroad through the Ministry of Tourism’s sales and marketing channels and just over 16,000 locals and visitors are expected to attend or participate in the Grand Bahama events. Our efforts, therefore, to generate new revenues and income distribution in Grand Bahama are broad and far-reaching, and we expect the residents of Grand Bahama to support these efforts being made on your behalf. product to Grand Bahama with unique features embracing the pristine and bountiful marine environment. On Monday last an announcement was made of the $5.5 million acquisition of Freeport’s premier commercial and retail center, Port Lucaya Marketplace, by U.K. businessman, Peter Hunt, whose company has plans for upgrades to the Marketplace. Additionally, the owner of the Xanadu Hotel is in the initial stages of closing on the sale and re-development of this historic 188-room resort and marina. This will add valuable luxury inventory to the product offering. Investors are also showing interest in the purchase and re-development of the Royal Oasis which, if concluded, would certainly breathe new life into the city of Freeport. Initiatives have been mounted to attract investor interest in the acquisition and re- development of the former Ginn Holdings in West End as well. However, despite these bright prospects in the Tourism sector, we are certainly not out of the woods yet. The largest resort owner in Grand Bahama, Hutchison is still not realizing a profit and together with the Government continues to subsidize the operation of both their resort and the casino. Hutchison and the Government are in critical discussions to find an early sustainable and viable solution so as to keep these properties operational. In Grand Bahama, we must resolutely tackle issues of cost, productivity, flexible and competitive yet fair industrial agreements, addition of new inventory, product enhancement, better airfares, lower aviation fuel and handling charges, better airport facilities for non-US flights, lower electricity costs, penetration of new markets, etc. These are all matters which the Government and private sector partners must resolutely address. But the turn-around in Grand Bahama is not just within the Tourism sector. The Grand Bahama Port Authority reports that over 270 new business licenses were issued last year creating an estimated 1200 jobs. Many new businesses resulted from the grant by my administration of equitable concessions in the East End and West End of Grand Bahama. I am told that sixteen (16) additional licence applications are now in various stages of approvals. The late Sir Jack Hayward, as his father and Wallace Groves had done before him, and Sir Jack’s partner, Edward St. George carried the baton for Freeport’s development, each in his own time the baton has now passed to another generation. The Grand Bahama Port Authority needs a new dynamic business plan, and it must engage in a vigorous programme of promotion, while embracing new partners with the necessary know-how and capital , working hand in hand with Government and other stakeholders. They must leverage the infrastructural assets and strategic location of Grand Bahama’s Free Zone, and build on a solid foundation to re-position Grand Bahama to attract new investment and to ensure the productivity and engagement of its residents in the growing economy. The Freeport Container Port is leading the way with a two-year, $256 million phased capital expansion to begin in the third quarter 2015, generating an additional 100 construction jobs next year and an additional 150 operations and engineering jobs on its completion in 2017. Additionally, with a $6 million capital investment this year in a container freight station to manage movement of cargo to domestic and international markets an additional 30 jobs will be created in the operation in first quarter 2016. A $15 million upgrade to runways and taxiways by the Grand Bahama Airport company is slated to begin in the second quarter 2015 with an additional 20-30 construction workers being employed and significantly more construction jobs will come on stream from public expenditures on infrastructural improvements to roads, schools, and public buildings this year. 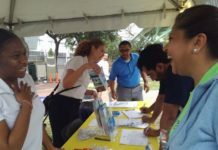 Last year, PharmaChem injected some $15 million into Grand Bahama’s economy in direct and indirect employment, procurement of goods and services, scholarships, charitable contributions and has increased its staffing by 20% in advance of plans to execute Phase Two of their acquisition and expansion project. The company has announced that it will construct a new, state-of-the-art, multi-product plant facility to facilitate its sole customer, Gilead Sciences Limited, with more diversified product offerings and has extended its Manufacturing Supply Agreement with Gilead. Negotiations are underway on the new products to be manufactured, amendments to be made to the Supply Agreement and financing of Phase Two of the project. The Company will finalize its plans once further studies and cost analyses are completed. The Grand Bahama Shipyard, which has invested over $200 million in facilities and docks since 2000, made a further $10 million investment in ground improvements and dredging activities last year. Continuous upgrades are planned at a cost of $6 million a year through 2018. The Company employs 323 full-time Bahamian staff, another 202 contracted Bahamian workers and 503 temporary expatriate labour and is making focused efforts through its Apprenticeship Program to train and improve skills in Pipe, Steel and Welding for its staff. The Shipyard has undertaken a major dredging project, opening the Shipyard to entirely different market sectors with the use of its Drill Ships and Rigs during the slower summer months. Other business licensees of Grand Bahama have demonstrated growing investor confidence by entering into business expansion mode and committing significant dollars to capital development of their businesses. The planned half a billion dollar infrastructural investments by the Grand Bahama Airport Company, Pharmachem, Bahama Rock, Caribbean Bottling, Wendy’s, Eco Oil, the Okyanos Heart Institute, the Freeport Container Port, Freeport Harbour Company and the Grand Bahama Shipyard, etc. constitutes the leading edge of an impressive wave of new investment in Grand Bahama over the short and medium term. refurbishment of government buildings and has already spent $6 million on roadways, water storage and hurricane shelters in the East, the Fishing Hole Causeway in the West, upgrade of the Hawksbill Medical Clinic, refurbishment of government buildings including the Harold DeGregory Building as well as social and cultural programmes. 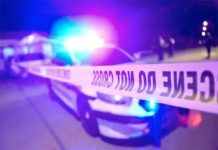 Construction of a new Police and Fire Station for Grand Bahama, will begin in April of this year at a cost of approximately $6.2 million. With additional sums earmarked for the building of a new West Grand Bahama High School, upgrade of the Eight Mile Rock High School, reinforcement of the Smith’s Point Sea Wall, more than 1,000 new jobs will be created this year alone. While there is still far too much unemployment and financial hardships existing, even discouraged workers here are clearly seeing uptick in the economy of Grand Bahama, because they are re-joining the ranks of unemployed workers in compelling numbers and are seeking opportunities from an expanding economy and I predict that barring any unforeseen downturn, this trend will continue through 2015 as the job market continues to expand across all sectors. Clearly it is our youth, our school-leavers, who are most severely impacted. Many are challenged in finding jobs because of the lack of adequate skills to become productive workers in the labour force. This is a situation which we must overcome if Grand Bahama’s potential is to be realized, for all our efforts will be in vain without a trained citizenry to take advantage of the employment offerings being presented. 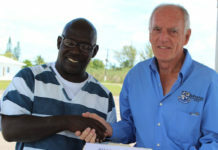 These challenges have also resulted in entrepreneurial opportunities in the area of technical and vocational training, recruitment, job fairs and internships some of which is the Ministry of Grand Bahama is spearheading, such as the Fresh Start, which has yielded short-term and permanent job placements for many of our young people. 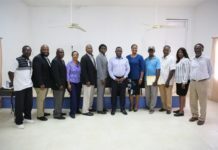 The National Training Agency, in conjunction with the Ministries of Labour and Tourism, and the local maritime services provider Ship Mate Limited, have already undertaken hospitality and training of the first 50 of 300 of our young people in Grand Bahama to be selected to join the team of the Grand Celebration. As our nation’s second city, Grand Bahama has a substantial role to play in the national development of our country. I must applaud the efforts of the business community in facilitating the smooth application of VAT in Grand Bahama. This island is specifically targeted for new foreign and local investments in renewable energy, light and heavy industry, hotel, cruise and medical tourism and ancillary businesses not only to generate business growth and economic expansion for Grand Bahama’s residents, but also to increase government revenues – a strategic objective of Government especially for the more thriving economies of Bimini, Grand Bahama and Abaco in the northern Bahamas. In so doing, we must reform our tax structure to ensure that the Government will have a reliable and sustainable means of funding infrastructural development and economic and social programmes particularly for the most vulnerable in our society and for the continued well-being of all Bahamians across this archipelago. Other reforms are planned which will focus on modernization of systems in public management for greater accountability, consolidation and effectiveness in planning, administration and revenue collections. It should be obvious to all, at least to objective minds, that the turnaround which is underway in the economy of Grand Bahama, has come at great expense to the public purse, on top of the generous tax exemptions and incentives under the Hawksbill Creek Agreement which Freeport enjoys, unlike the rest of The Bahamas. It ought to be that with the exemptions and concessions of the Hawksbill Creek Agreement, Freeport, in particular, should be able to maintain a vibrant economy driven by the Grand Bahama Port Authority and its licensees, yielding a surplus in Government revenues over public expenditure, and not be reliant on the present high levels of Government marketing support and subsidies which are not only unsustainable in the long term but adversely affecting the public expenditure which the Government should be making in other parts of The Bahamas. Freeport and its environs have largely been built as a result of the partnership which was entered into many years ago between the Government and the Grand Bahama Port Authority under the statutorily enshrined provisions of the Hawksbill Creek Agreement. Certain provisions of the Hawksbill Creek Agreement with respect to exemption on business licence and real property tax are due to expire in August this year. It also transpires that in recent years the Freeport economy has remained stagnant with some exceptions, thus negatively impacting economic growth and Government revenue, to the extent that the Government is having to fund a substantial deficit for the provision of Government services in the area. The international consulting firm of McKinsey and Company was retained by the Government to undertake a study of the economic situation in the Port area, the implications of the expiring incentives and measures which might be taken to spur economic development. Arising out of the McKinsey Report, I will shortly announce the Government’s appointment of a Committee to hold discussions and negotiations with representatives of the Grand Bahama Port Authority, investors, licensees and relevant public and private sector and community interests, with a view to making appropriate recommendations to the Government on arrangements and measures which should be taken with regard to the expiring concessions and other appropriate measures to promote and sustain economic growth in Grand Bahama, within a suitable regulatory framework in keeping with present and changing international best business practices. I wish to conclude my remarks by stating that, although for so many in Grand Bahama the struggle to eke out a decent living remains a reality, I hope that you will have heard and acknowledged the evidence which I have presented today of my Government’s and private sector focused initiatives and progress in improving the economy of Grand Bahama.